The upcoming Mobile World Congress (MWC) to be held in Barcelona, would be welcoming a dedicated version of Opera Mini for the iPad. Many of you might be wondering as what’s new in Opera Software unveiling a browser for the iPad while already a version of Opera Mini for iOS – compatible with the iPod Touch, iPad and iPhone has been available since April 2010. 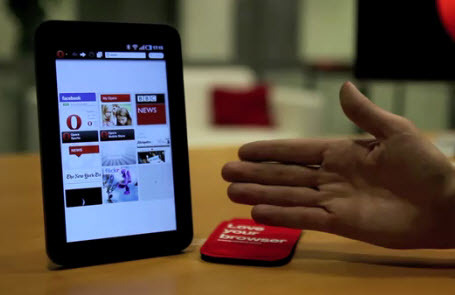 The company is in plans on unveiling a dedicated version, specifically designed to blend with the iPad. Apart from that, Opera Mini would roll out new versions for the iPhone as well as other platforms including Android, Symbian, J2ME and BlackBerry. Our developers have been hard at work building the mobile browser of the future for both consumers and mobile operators. We want our browser to impact lives in a meaningful way. It’s one reason we use mostly renewable resources to power Opera Minis servers. It’s why we make it light, so you don’t have to recharge your battery every few hours. It’s why Opera Mini and Opera Mobile can help operators reduce the bandwidth that clogs their networks. A browser may never change the world, but well never stop trying to. With the release, Opera would join Safari and Skyfire, becoming the three leading developers for the tablet-optimized web browser.